Limited to only 3,000 pieces worldwide. 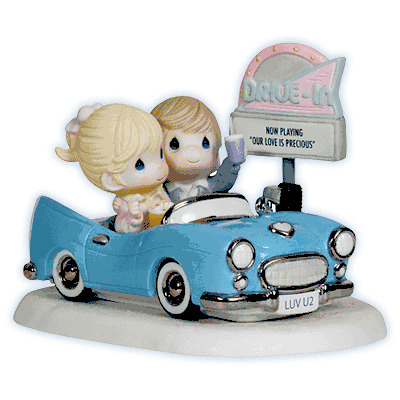 Vintage cars, classic movies, collectible bisque figurines some things just get better with time. The same can be said for love! Enjoying a film at their favorite drive-in theater, this couple will charm you in their chrome-trimmed roadster. Limited to only 3,000 pieces worldwide. Bisque porcelain figurine. 6 " H. - Item#: 112026 - Height: 6 "